Making time to listen to the music that we love is a great way to restore our mood and nourish our soul. Whether our body vibrates to the beat of Caribbean calypso or the lull of classical piano, listening to the music that we love is one of the quickest ways to tap into our inner happiness reserves. When we feel happy, we are more confident and resilient, meaning we are better equipped to deal with the trials and tribulations that the day may bring. It is a great idea to develop a mental playlist of the songs or pieces we find most enjoyable, comforting or empowering, and to label them so in our mind. This way, when we find ourselves in challenging or unpleasant situations, we can tune into our playlist for strength and support. Even when we can’t get to a real recording of our playlist – perhaps we’re at work, trying to handle negative or obnoxious people – we can secretly press the play button in our mind, allowing the positive feelings associated with good experiences to flood our body. This can help us to put the present situation into perspective and to regain control, restoring our personal equilibrium. And the best thing about reliving our favourite tunes through our auditory memory is that nobody will ever know we’re doing it! When we listen to music that is associated with good experiences, we reawaken those positive feelings that are stored up in our episodic memory. Like photographs, music is an excellent key to unlocking the door to all our best emotions. It is a powerful resource that we can tap into – any time, any place – in order to defend ourselves against the negative influences of those around us. This enables us to replenish our reserves and to restore the balance and harmony in our day. Starting the day with a song – whether it’s singing in the shower or listening to the radio – is also a great way to establish a positive mood for the day. When we are smiling inside, it is easier to let the subsequent water of others’ bad moods to run off our backs like the proverbial duck! 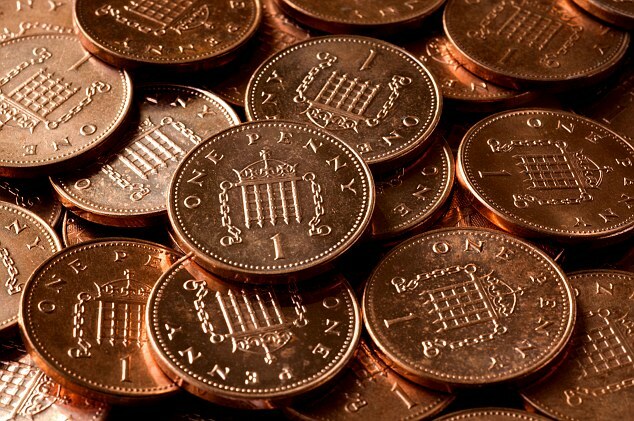 My grandmother used to say “if you look after the pennies, the pounds will look after themselves.” Back then, she was educating me in the ways of financial prudence, but now I find myself applying this maxim to other areas of my life, particularly wellbeing. It is often the small actions – the pennies – the daily choices that we make, which have the biggest impact upon our overall wellbeing, and which help or hinder us in achieving our goals. Things like how we respond to challenging situations, how we approach daily tasks, and how we manage the expectations we place upon ourselves and those around us, all contribute to our sense of emotional balance and purpose. Whilst life is full of ups and downs, I believe we can choose to focus on the positives. We can choose to get back up after we have been knocked down and we can choose to treat difficult experiences as learning opportunities. Ambition, self-belief and long-term goals are important and we must never give up on the big “pounds” of happiness and success. But as my grandmother’s saying goes, it’s important not to forget about the little “pennies” along the way that when added up, represent the bigger picture of the meaning of success and happiness. Small things such as demonstrating kindness and respect towards ourselves as well as others, doing charitable deeds, making time to pursue hobbies and passions, and putting effort into maintaining valued relationships all count. The importance of achieving small daily tasks is illustrated beautifully in a speech made by former US Navy Admiral William H. McRaven. He says “if you make your bed in the morning, you will have accomplished the first task of the day. It will give you a small sense of pride and it will encourage you to do another task, and another, and another. By the end of the day, that one task completed will have turned into many tasks completed. Making your bed will also reinforce the fact that the little things in life matter.” Accomplishing small daily tasks builds a solid foundation for long-term achievement. So much so, that even if we later lose our footing when climbing the mountain towards our goals, we are less likely to fall so low. This is because we have built a robust and resilient emotional and mental framework, cultivated through repeated smaller accomplishments. Being able to regain control of our life direction when we slip, and to continue the pursuit of our goals with confidence, will reinforce our belief in our own abilities. Knowing what we are capable of and reminding ourselves of it frequently, through reaffirming actions and the achievement of small daily tasks, is a useful tool for maintaining momentum and purpose. A strong sense of purpose, and the belief in our ability to fulfil it, leads to contentment and happiness. I believe that success is “liking who you are, liking what you do, and liking how you do it” (Maya Angelou). In this way, it is linked intrinsically to happiness. The attainment of both depends not just upon achieving one or two big life goals, but by systematically ensuring that the small things in life are looked after first. If we take care to do the small things right on a daily basis, strategically laying down the foundations for bigger goals, we have a better chance of succeeding in the long-term, whilst maintaining positivity, productivity and balance in our lives. For many years I struggled with insomnia. Anybody who has experienced chronic insomnia will know the devastating effects it can have on both physical and mental wellbeing. Lack of sleep can lead to a crippling inability to function and enjoy life. For me, going to bed each night was a complete gamble, never knowing if I would manage to get to sleep in the first place, and if so, how it would be before I would wake up. I tried everything: meditation books, relaxing music, herbal remedies, various exercise routines and even eating tryptophan rich foods in a bid to calm my body naturally, reduce anxiety and induce sleep. I had already been doing the obvious things such as turning the computer and television off early and avoiding caffeine. However, nothing I did really seemed to work. I eventually realised that it would take more than a hot shower and a token bedtime milk and banana to get a good night’s rest. After years of frantically seeking one quick fix remedy after another, only to find myself still wide awake at 3am, I realised that perhaps I had to change my attitude towards sleep. Firstly, I needed to address the reasons I wasn’t sleeping. This included the anxiety that I had created around going to bed, as well as my continued suppression of various stresses in my daily life. I reasoned with myself that there was nothing inherently stressful about going to bed – pulling back the covers, getting in and turning off the light – and I could choose whether or not to indulge those negative feelings that I had come to associate with sleep. Secondly, I made a promise to myself each night not to get worked up if I could not get to sleep. If I did not sleep, I did not sleep. Crying into my pillow, or worse, would not help. This was a crucial moment for me, because with this promise came acceptance of whatever the night would bring. I stopped obsessing over the situation (am I nearly asleep? was I just asleep?) and acquired a sense of inner peace and calm. This in turn helped both my body and mind to relax. This was the real starting point of my successful sleep hygiene routine – a committed and holistic approach to achieving consistently good quality sleep. Good sleep hygiene is not about jumping from one insomnia quick fix to another, or going to bed super early one night in order to stay out late the next. Our bodies follow an inner clock, and constant fluctuations and adjustments disrupt our natural rhythms, levels of energy, focus and productivity. When developing a good sleep hygiene routine, it’s really important to know and respect what works for you. Key to success is maintaining strict discipline and regular practice. For me, the old maxim “an hour before midnight is worth two after” rings true, which is why I aim to be in bed long before the clock strikes twelve each night. Additionally, plenty of fresh air and exercise during the day, followed by a light evening meal and limited use of electronic devices all contribute to my good sleep hygiene routine. A cup of chamomile tea last thing at night has also become part of the ritual. Not only is chamomile known for its relaxing, sleep-inducing properties, but my consistent practice of having this warm drink before bed has led my brain to associate it with sleep, which allows me to feel ready for bed in advance. One extra thing that I recommend is taking a few minutes each night to “put your thoughts to bed”. Address whatever has happened during the day: be thankful for the good and let go of the bad. There will always be things about the day that we can’t change, things that cause us frustration, disappointment or regret. But taking these feelings to bed with us is an extremely unhealthy habit. If we don’t put our thoughts to bed, we will have to carry them through the night – leading to poor quality sleep – and will wake up with them weighing heavy on our minds in the morning. This is not how we want to be starting our day. If there are loose ends that you have not been able to tie up before bed, promise yourself that you will deal with them in the morning, when your brain is refreshed and more agile. Write them down on a sheet of paper and leave it outside of the bedroom. Your bedroom must become your sanctuary, a haven of peace and relaxation, and not associated with work or stress. When putting your thoughts to bed, tell yourself that you are leaving the day behind to embrace the prospect of a restorative and rejuvenating night’s sleep. Tomorrow is a new day, and you will feel physically, mentally and emotionally stronger and more ready to achieve your goals having allowed your body and mind to rest and recover through a good night’s sleep. Focusing on our own needs can be hard. Learning to put ourselves first before friends and family can sometimes feel selfish or unnatural. But the truth is, we have to meet our own needs and replenish our own resources in order to be able to give freely to others without feeling depleted. If we don’t look after ourselves first, we run the risk of not being able to keep up with the demands that life makes on us. This can then cause us to feel submerged, triggering a whole host of physical and emotional responses, including stress, fatigue, anxiety and resentment. As a result, we may even end up developing hostile feelings for those we love, simply because we have failed to recognise that we too have needs that warrant our full attention. This kind of situation, whereby we neglect our needs in order to fulfil the requests of others, can lead us to feel overstretched. It disrupts our inner balance and has a very damaging effect on our wellbeing. In order to lead a happy, healthy and emotionally balanced life, it is important to remember that it’s okay to say “no” once in a while – as often as you need to in fact. Even to those closest to you, it’s important to acknowledge if something is not conducive to your wellbeing. The first time is the hardest, but the more you practise putting yourself first, the more able you will be to maintain your health and happiness, whilst continuing to support those around you. Self-preservation is the essence of a balanced, focused and happy life. I love indoor plants and believe that keeping them is an excellent way to clean up the air and bring positive energy into the office and home environment. Plants improve air quality by trapping airborne pollutants and increasing oxygen levels, helping to combat breathing problems, headaches and fatigue. This in turn can improve concentration and motivation. The long winter months are a particularly beneficial time to keep indoor plants, when windows are often left closed, meaning fresh air is prevented from circulating as freely around the home and work space. Looking after plants doesn’t have to be stressful. I find that kalanchoes, cacti and ferns all do a pretty good job of taking care of themselves, requiring little more than a weekly water. Roses and orchids can be a bit trickier, but the beauty and pleasure they bring to the eye definitely justifies the extra effort. Personally, I find wiping the dust off the leaves once every week or so very therapeutic. It allows me time to relax and the chance to empty my mind of all thoughts, as I focus on the beauty of the living things that I have nurtured. At the same time, I am still being productive! Psychologically, indoor plants have been shown to reduce stress levels, improve mood and increase work productivity. With so many positive benefits, and a selection of colours, textures and levels of care to suit all, indoor plants are a perfect way to boost positivity and wellbeing. We work to live and not live to work as the age old saying goes. I was thinking about this expression as I woke up this morning in my comfy hotel bed. For some of us, it’s necessary to work long hours, including evenings and weekends. We may be saving for a house, paying for education or healthcare, studying alongside a job or running our own business, to name but a few reasons. But in a culture where work occupies so much of our time, it is important to make a little space in our busy schedules to do something that we love. Something to restore our inner balance and support our sense of purpose. It could be a five minute daily meditation, or a weekly fitness class or craft group. Or maybe a seasonal trip to the theatre or a sporting event. Whatever floats your boat – and the world is an ocean of individually handcrafted vessels – it is important to know what puts a smile on your face and to allow yourself to enjoy it as often as you can. Ask yourself today: what joy do I have in my life? What do I do for fun? It’s easy to forget these basic needs that are so apparent to us as children, but that can become overlooked as adults, as we immerse ourselves in the working world. As an adult, the balance of priorities can very easily shift from personal enjoyment to professional gain, from pleasing ourselves to pleasing others. Whilst working long and hard may allow us to plan for a more prosperous future and to protect and provide for our loved ones, it’s equally important not to forget the small pleasures that nourish our own souls and bring happiness to our day-to-day lives.